The weather gets cooler–it’s street food season. 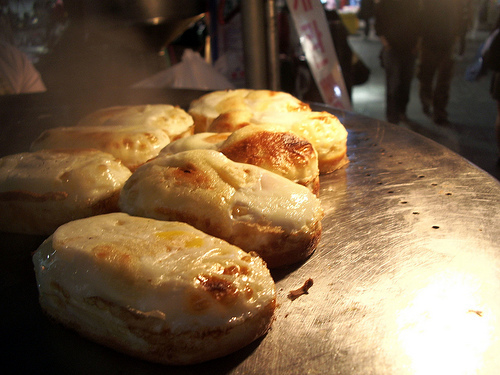 Check out these Eggy Bread (Gyeran Bbang 계란 빵). They’re a bit like French Toast but more… eggy. They have a slight sweetness but not overpowering, and they are perfect for a late night street food crawl. Oh my God. I want this NOWWWW! I saw them in Seoul but didn´t pay attention. I will try them the time I go to Korea.